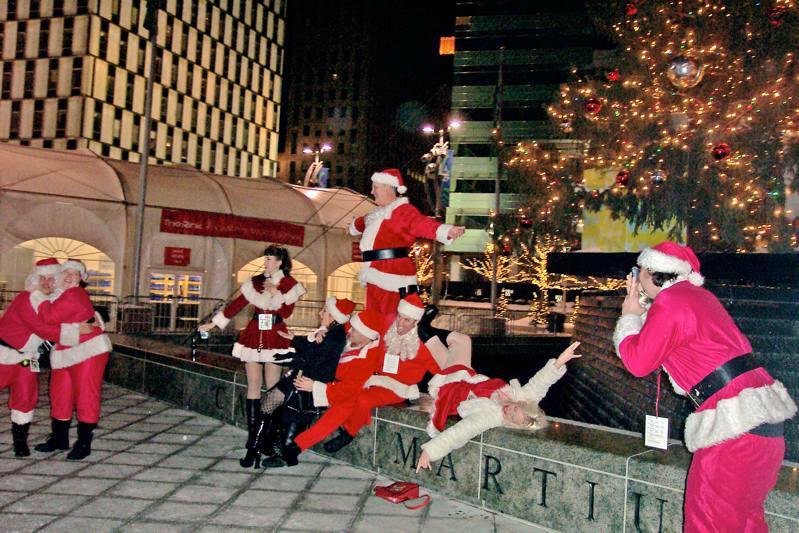 Less than a week ago, around 200 Santas marauded around downtown Detroit in search of fun and booze. My sister happened to take part, and she's provided some pictures. 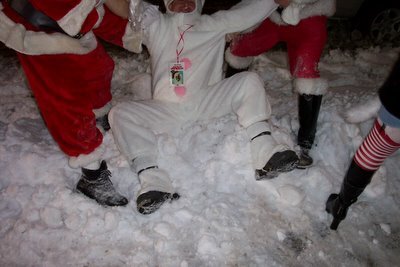 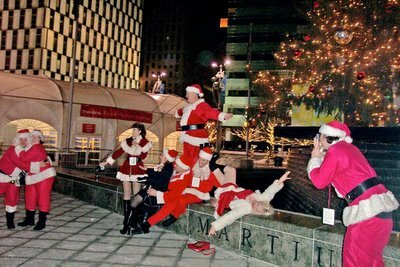 The reports that I'm getting back reveal that, unlike the case in New Zealand, in Detroit a good time was had by all with no arrests, although the Santas did try to invade the skating rink at Hart Plaza and were chased away by the Detroit Police. 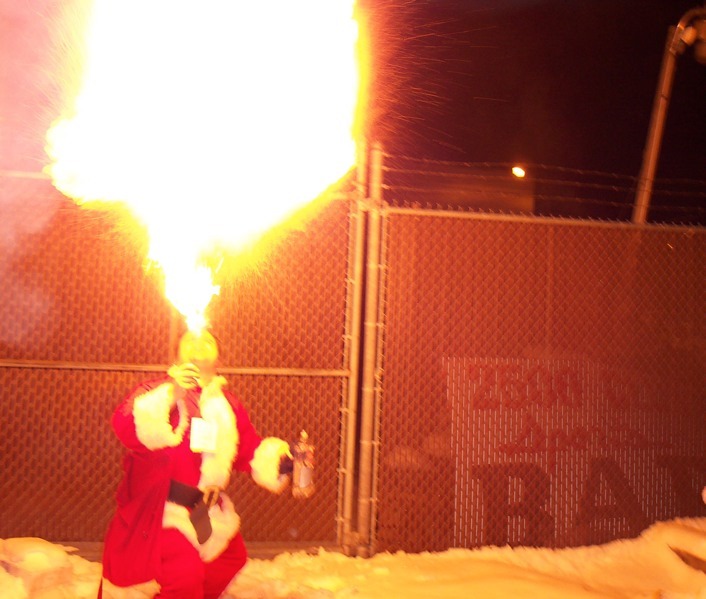 Nothing like a fire-eating Santa to liven things up! 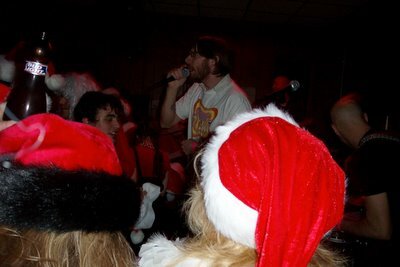 Punk rockers and many Santas. 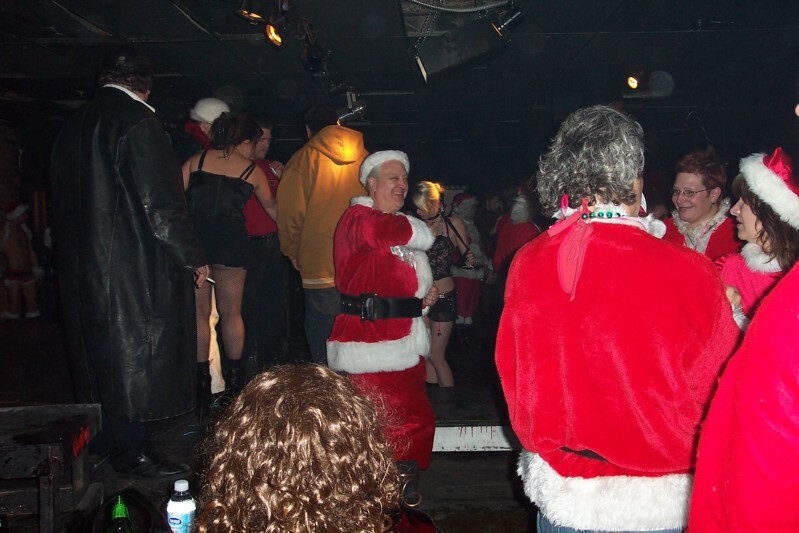 Santas flamboyantly protesting getting kicked off the skating rink.